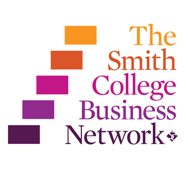 Thank you for your interest in the Smith Business Summit, which was originally scheduled for March 29-31, 2019. In an effort to design the best event possible, we have decided to postpone the summit until sometime in 2020. New dates will be provided as soon as they are available. We intend to devote this extra time to developing a business summit that is truly transformative and elevates Smith’s national reputation as a primary source for innovative entrepreneurs, business leaders, and trendsetters. We look forward to sharing more details about the rescheduled business summit as they become available. In the meantime, if you have questions, please don’t hesitate to contact the Office of Alumnae Relations at alumnaeevents@smith.edu.